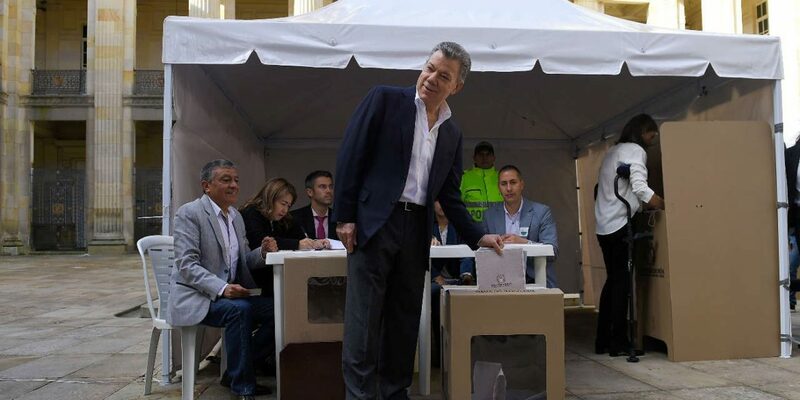 Colombia’s legislative elections on Sunday were dominated by chaos, irregularities and widespread election fraud, independent election observers confirmed. The Electoral Observation Mission (MOE), deployed almost 3,400 observers. The Organization of American State sent another 20 experts to monitor the fairness of the elections. The MOE said that the elections were the most peaceful since 2007, the year that the organization began monitoring elections. However, the organization also said that on Sunday alone it received 1,290 reports of irregularities, many related to vote-buying and illegal propaganda inside polling stations. Another 213 complaints were filed in the weeks leading up to the elections. The most visible irregularity was that in dozens of polling stations there were not even close to enough ballots that allowed people to vote in primary elections of presidential candidates. However, this seemed due to poor organization rather than an attempt to influence these votes. In 40 cases, election officials refused to hand over ballots that allowed voters to take part in the election of presidential candidates. The vast majority of complaints were related to legislative elections that resulted in the election of 102 senators and 166 house representatives into what is considered the country’s most corrupt institution. Election officials in the vast majority of polling stations did not use the available biometric identification equipment that could prevent identity fraud. The MOE had already warned about the use of fake ID’s after establishing that some two dozen municipalities had more registered voters than inhabitants. The organization also said that national authorities failed to fix a bug in the verification software that allowed the deletion of almost a quarter million valid votes in 2014. Additionally, electoral tribunals that could investigate claims of election fraud were never installed in many municipalities, making it impossible to verify fraud claims. According to the MOE, its observers registered illegal propaganda inside polling stations in almost 20% of the monitored municipalities, also in major cities like Bogota and Medellin. In some cases, election officials were denounced for insinuating a vote for a specific candidate. According to the MOE, 13 people were arrested for election fraud and $250 in cash was seized, leaving the vast majority of alleged election fraud cases in impunity.